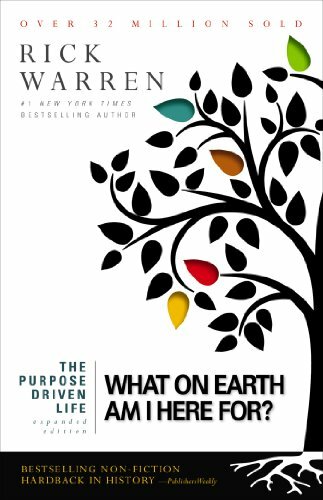 Take a quick glance around the shelves of any major book store and you’ll soon note there’s an abundance of literature promoting the importance of ‘purpose’. Rev Rick Warren's ‘Purpose Driven Life’ is as popular outside of the church as within it, while for Guy Kawasaki the subject of purpose permeates virtually all of his writings. Purpose is without doubt the zeitgeist of our time. Everything must have purpose for in purpose lies reward; or so the argument goes. The question for business is no longer 'what have you achieved' but rather 'why are you interested in achieving anything at all'. Not ‘what is your bottom line?’ but ‘what has been achieved in the creation of your bottom line?’ It is undeniable that such thinking has rejuvenated business ethics from dull CSR policy to exhilarating and transformative models of engagement. Yet despite all of the above I am more than a little cautious that we may be on the brink of ‘purpose overload’ and that our fall from the cliff of purpose will be a whole lot less pleasant than our walk to the edge. ‘Purpose’ is, for most of us, measured by the attainment of objectives ‘this therefore this’; while that which lacks purpose or is ‘purposeless’ is typically concerned with the uncalculated, spontaneous and objectless response of an individual or collective to their surroundings. We are told that purpose offers a measurable outcome such as money or achievement while a lack of measurable outcome therefore denotes an activity to have been purposeless. Lets get back to cycling. My daily commute to our university pod is purposeful, it takes me to work and work is what enables us to do what we believe to be most important, it is an investment in my own well being and it is (at least to my mind) a contribution to a greener, cleaner environment. That same commute takes me in the opposite direction to dozens of fellow cyclists all of whom appear equally if not more purposeful. Truth be told, it’s a commute critically lacking in pleasentness and not just because of the poor road surface. The evidence all around me suggests that for many cyclists the meaning of our cycling is defined largely in terms of speed of arrival and pursuit of survival, head down, lycra clad, strava on and not the faintest possibility of loosing a nano second from our pb. There is little sign of joy or wonder, little recognition of other cyclists, rarely so much as a ‘good morning’ or even a nod of recognition. And that’s the problem with purpose. An increasing number of cyclists appear to be pursuing an increasingly isolationist means of engaging what was once gifted to us as a delight to be shared. As our commute becomes ever more focused the joy is quickly evaporating beneath our pedals. Many of us are just about capable of remembering a time when cycling offered us the space to open our minds, to reach out beyond the mundane, to enjoy the world of play, to contemplate, to delight in others, to participate in an activity for no other reason than the joy it gave. In filling that space with an overly distorted sense of purpose we’ve too often robbed ourselves of cycling’s greatest gift; space for what is new and otherwise unimaginable. Such a way of living can not be good for any of us. Speaking of what is good for us it’s worth noting that purposeless activity is well noted for its ability to reduce stress and boost relationships; in other words, to do what is good for us. When we say we ‘need’ a holiday, we’re not kidding, our entire being needs a large dollop of purposeless activity in order that we might once again be more human; but why save the purposeless for the rare exceptional moments of annual retreat. If it’s good for us it’s good for us, for our families, for our productivity, for our clarity of thought, for our economy, for our today and tomorrow. Focusing on ‘purpose’ as ‘things’ to be attained simply means we miss what is already present. Sprint every journey and we miss the possibilities gifted to us by our traveling companions, treat Strava as a racing mandate for every journey and we loose space for our minds and our souls, live in constant envy of another’s kit and we loose the beauty of simplicity. What is purposeless is rooted not in what we already know but in endless possibility. Before dismissing such activity as simply naive it’s worth remembering that such things once included seemingly stupid ideas such as an oven which used only microwaves and a phone which did not require a line. Many of the most advanced features of our lives had their origin in the pointless freedom to wonder. So next time you pootle no where in particular taking time to laugh and share stories only to be confronted by the serious police accusing you of ‘wasting time’; share a wry smile and tell them you really hope they’re not wrong! Note that I’m not talking about cycling in order to solve a problem that would simply be to rename the idol of purpose but rather that in our less purposeful cycling our minds become open to an otherwise impossible inspiration. Pointless activity dares to stop reaching out for the elusive and instead begins treasuring what is already present. Discipline ourselves to that way of being in the world and we suddenly find ourselves living lives so much richer than we’d ever thought possible. Our thoughts then break the cycle of dull perpetuity as we become open to the otherwise unimaginable. We discover that what we once thought to be the empty well is in fact filled with fresh new life. There is one girl who occasionally crosses my morning commute. Her bike is utterly unremarkable, she is blissfuly unaware of such a thing as Strava and is always travelling no where in particular. I notice her why? Because she exemplifies what I too often lack, contentment. I suspect the greatest irony of all is that a little more pointless activity in some areas of our lives leads to a whole heap more purpose in other areas of our lives, freeing ourselves simply to enjoy the moment might actually result in moments of unparalleled achievement. So here’s to a little more pointless cycling. May you take your bike and go nowhere in particular, for no reason in particular in the hope of nothing in particular! Remember if you need any sort of help, support, repairs, guidance or just an encouraging chat call over to our pod at the University of Birmingham B15 2TT we can't wait to meet ya!